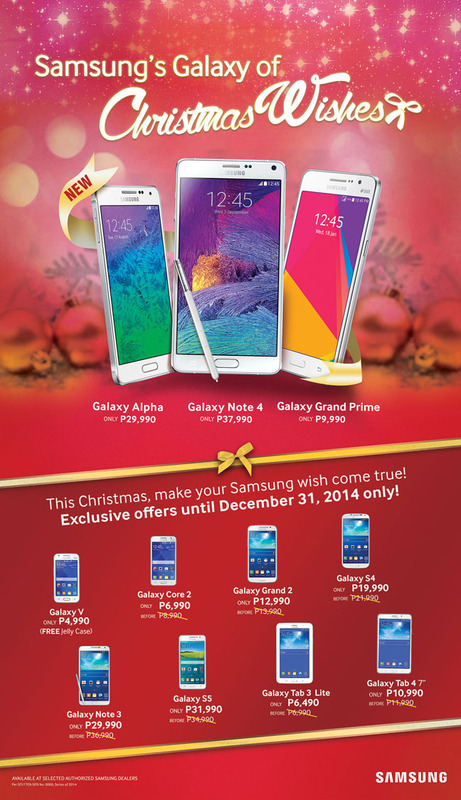 Get Your Samsung Galaxy Device for Less! 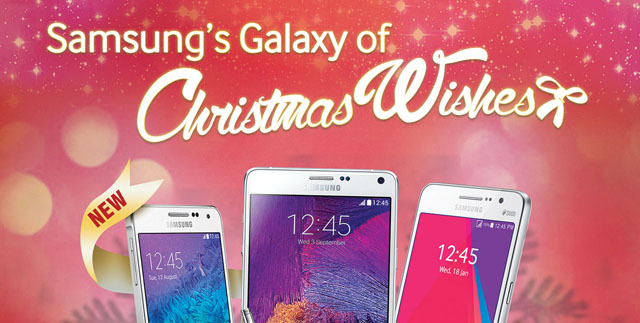 Get ready for one of the biggest sales this holiday season as Samsung’s Galaxy of Christmas Wishes brings you the chance to get your favorite Samsung device for less! 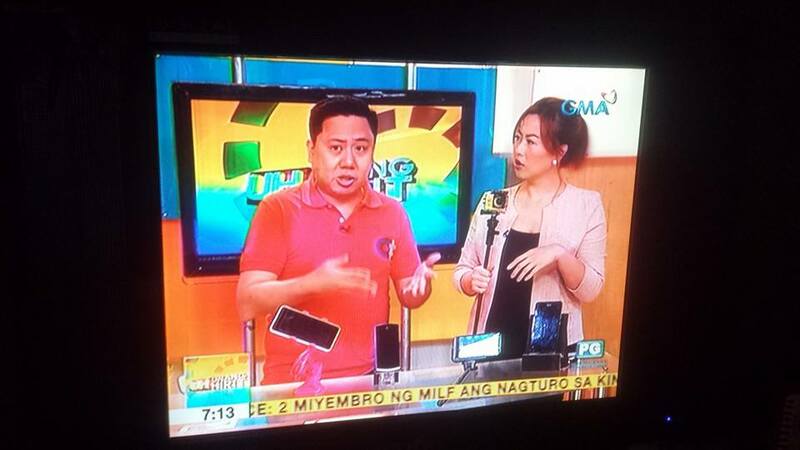 From November 15 to December 31, you can now purchase the Samsung Galaxy V, Galaxy Tab 3 Lite, Galaxy Core 2, Galaxy Tab 4 7.0, Galaxy Grand 2, Galaxy S4, Galaxy S5, and the Galaxy Note 3 for up to Php7,000 less than the original selling price. A lot of freebies will also be given away, so better head to your nearest Samsung dealer to take advantage of these great discounts!